We would like to thank our data partners for working with us to help bring these data sets to you: The VT E-911 Board, FEMA, USDA, and USGS. If you have questions about any of these data layers, you can consult the metadata (more info button in the search results table), contact the data manager, or contact VCGI’s Database Administrator, Ivan Brown: ivanb@vcgi.org or 802-882-3005. 2-Foot Contours Almost Done: After engaging in a lot more troubleshooting/programming than I had originally expected, I am now confidently coasting toward processing the final (and fully tested!) Essex Data extent over the 4th of July long weekend. Essex was the toughest of them all and will require about 4 days to process. Next week it’ll be in the Database Administrators hands and I will ply him with coffee to get all 2’ contours from the major project areas posted as early as possible. I will forward an update at that time. This will complete “Phase I” as noted below and permit me to begin working on the smaller, existing data extents in “Phase III” while simultaneously working with the DBA on “Phase II”. New LiDAR? The 2014 Spring data acquisition effort for the Grand Isle/Rutland County/Little & Mad river watersheds Area of Interest (AOI) sadly did not get completed due to the trifecta of late snow cover, followed by long periods of rainy/cloudy weather and topped off by a quick warm spell that propelled leaf-out a week ahead of “normal” (whatever that is). The photo above shows in light pink and yellow what was collected (Champlain Islands and Eastern Waterbury). The remainder (Mad River and Otter Creek areas) will be flown this fall. Plans to Collect Even More Data? 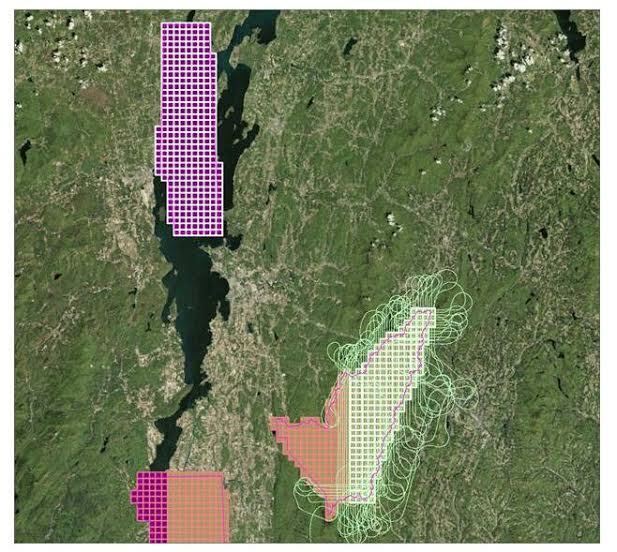 Efforts are underway to pursue the next data acquisition for spring 2015 (very small possibility it may be fall 2014 but don’t count on it), and it includes 1,746 square miles of Chittenden County and the final outstanding subbasin areas for the Vermont side of Lake Champlain. Subject to funding, more areas may be added but would be based on the funding sources priorities. Thank you for all your feedback and constructive criticisms on various inconsistencies on the LiDAR web page and related documents. This helps me continually refine the information to the benefits all LiDAR data users – keep it coming. Just a reminder that VCGI released the following LiDAR-based, “secondary” derivatives in May, i.e., ASPECT, HILSHD, nDSM and SLOPE data. These data were derived from the Addison, Bennington and Essex Counties and the Missisquoi Subbasin projects. nDSM: “Normalized Digital Surface Model.” DEM subtracted from the DSM – each pixel represents the height above ground, not above sea level. SLOPE: Change in elevation over the distance between the cell and its eight neighbors expressed in percent slope or percent grade, i.e., rise/run * 100. To put this release into perspective of the overall VT LiDAR Initiative and its data related goals, a very brief overview of our approach to date follows. The fact that only 3 of the 8 steps are mostly complete belies the fact that Phase I involved a high level of effort in establishing protocols, guidelines and technical approaches that extend to subsequent phases. PHASE I: (Includes 2012 Addison, 2012 Bennington and 2005 Essex Counties and the 2008/2010 Missisquoi Subbasin projects). These cover ~ 30% of the state. 3) IN PROCESS (95%): Integrate vendor provided 2’ contours, generate 2’ contours where needed to update the existing “ElevationContour_CN2T” data layer and make data available on the VGIS. PHASE II: (Includes 2012 Addison, 2012 Bennington and 2005 Essex Counties and the 2008/2010 Missisquoi Subbasin projects). These cover ~ 30% of the state. 1) IN PROCESS (25% JULY): Process prototype of Contour, DEM and DSM data into feature and image services, respectively and make available on the VGIS. 2) PLANNED (JULY/AUGUST): Process all Phase I AOI’s to put Contour, DEM and DSM data into feature and image services, respectively and make available on the VGIS. 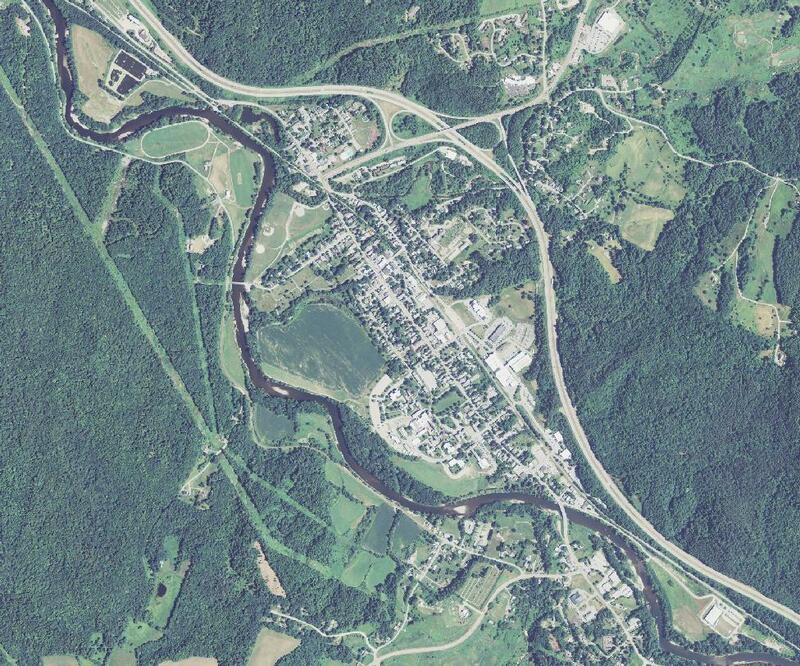 PHASE III: (Includes 2007 Bennington, Chittenden, Rutland & Washington flood plains, 2009 Barre-Montpelier, 2010 Bennington flood plains and 2012 VTrans-TSIrene projects). These cover ~6.8% of the state but not exclusive of larger projects, e.g., 2012 Bennington County vs. 2007 & 2010 Bennington floodplains. 3) PLANNED (SEPT/OCT): Integrate vendor provided 2’ contours, generate 2’ contours where needed to update the existing “ElevationContour_CN2T” data layer and make data available on the VGIS. PHASE IV: (Includes 2007 Bennington, Chittenden, Rutland & Washington flood plains, 2009 Barre-Montpelier, 2010 Bennington flood plains and 2012 VTrans-TSIrene projects). These cover ~6.8% of the state but not exclusive of larger projects, e.g., 2012 Bennington County vs. 2007 & 2010 Bennington floodplains. 1) PLANNED (SEPT/OCT): Process Contour, DEM and DSM data into feature and image services, respectively and data available on the VGIS. Please refer to vcgi.vermont.gov/lidar for information about the VT LiDAR Initiative, LiDAR related data and resources, or contact me with questions: mikeb@vcgi.org or 802-882-3008. You are currently browsing the VCGI's Blog blog archives for July, 2014.